<!-Joseph Jacinto Mora(1876-1947)-->Joseph J. Mora was born in Uruguay, educated on the East Coast and made his first venture to the far West, a rambling road trip, in 1898 at the age of 22. Fueling his appetite for "everything western" Mora made his second journey in 1903. This adventure included a three-year stay with the Hopi and Navaho Indians, learning their languages and recording their ceremonies. He explored the California Mission trail on horseback, sketching his way along the same route Father Junipero Serra traveled. He worked as a cowboy on a cattle ranch. In 1920 he settled in Carmel where he entrenched himself in the history and heritage of the Monterey Peninsula. 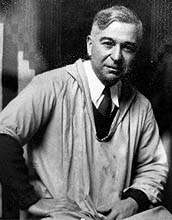 Jo Mora was the "renaissance man of the West"; historian, author, photographer, illustrator, artist, and sculptor. These wide ranging interests combined with his comical style enabled him to become one of the foremost pictorial mapmakers of the 20th century. His maps, mainly of California locations have been well documented by Jon Gilmore in "Jo Mora Cartes - Maps". Mora's maps contain whimsical cartouches, decorative borders embellished with cartoons, and are filled with historical references, little-known facts, as well as the more usual tourist destinations and landmarks. Mora claimed in one of his ad campaigns that his Cartes "will chase away your blues and make you realize that topography-history-& fun can be brewed to a perfect blend.....get one-and forget your troubles." Perhaps this is why his maps are so popular with collectors today.